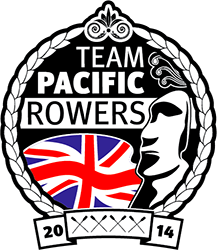 I am Millie Roberts, the girlfriend of Team Pacific Rower Colin Parker. He asked me to write about my experience as an outsider looking in on the team as they prepare to take on the biggest endurance challenge of their lives to date. I learned Parker had agreed to row the Pacific about a month before we were set to leave the bright lights of Brixton, London, for a year-long contract I’d secured in the somewhat sunnier city of Auckland, New Zealand. His was a promise yelped in a haze of alcohol during a final night out with his friend of 20 years, Fraser, weeks before the pair were due to part ways. For those reasons, I hope I can be forgiven for thinking this was exactly the kind of chat one would expect between two chaps who like to travel, particularly in lieu of the fact that one of them was about to emigrate. 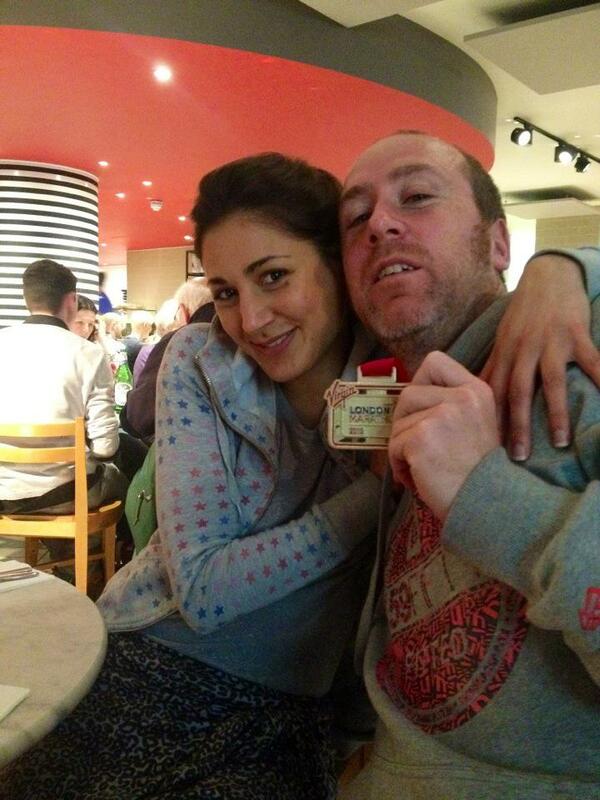 Parker after running the London Marathon in 2012. Unfortunately for him, my immense pride at his achievement was mainly expressed through vice-like grip hugs and telling anyone who would listen about what he had done. Literally, anyone. As our move to the Land of the Long White Cloud gathered pace, so did Parker’s commitment to be among Fraser’s final four. Before long, the remaining two members of the team, Sam, and later James, had been recruited, logos has been commissioned and t-shirts printed. Slowly, my realisation that Parker was in fact, very serious indeed, came to fruition.Thus ensued a year of talking sponsorship, PR, satellite phones, chosen charities, sea cleaning, protein shakes, dry food options, rowing seats, visas, race fees, sun screen and poo buckets. In the final planning stages, it was spreadsheets at dawn on Skype as often as every other day as the team worked through splitting costs and responsibilities. As someone looking in, one of the most extraordinary aspects leading up to the challenge has been watching the relationship between Team Pacific Rowers (TPR) develop. Considering Parker and Fraser have two decades of beer-speckled friendship on Sam and James, the latter two could easily have been, or at least felt, isolated; but this has been far from the case. For every flicker of doubt one rower has felt, another has stepped in with a surge of support to bolster them, regardless of the history they share. The synergy that orbits the group comes from a mutual confidence that each is as committed as the next to the mammoth task that lies ahead. For the many friends, relatives and loved ones of the entrants of the first Great Pacific Race, at times the year approaching the start line has felt just as much of an emotional storm as it has for those rowing. For the most part, I hope I speak for us all when I say we are overflowing with pride at the incredible feat our loved one has set out to achieve. But I imagine I am not alone in my innate fear of the word ‘first’. The implication of unchartered territory in such a context is numbing. Parker’s parents took to fretting silently, but their son sensed their tension. Out went a round robin email to the whole family with details of the copious safety measures in place together with a YouTube clip of famed whiskey-swilling ocean rower, James (Tiny) Little, who in 2005, travelled 3,000 miles from the Caribbean to Antigua alone and unsupported. All anyone can do is take comfort in the information available. The sea is a fickle beast not for taming but knowing help is always at hand is something at least. The team has also had extensive training so they know precisely how to handle themselves in an emergency. Had TPR relented to their fears, we would never have experienced this journey with them. My concern is boredom – because I know it is one of Parker’s biggest worries. I wonder how monotony could affect the team’s motivation to forge ahead. I worry about land sickness. The dissatisfaction they could face the moment passes when they first throw themselves upon Hawaiian sands. When the fanfare is over, will anything ever feel as good? I worry about the anxiety they could experience when they must part ways with Britannia 4. For weeks their boat will have served as a sturdy home on uncertain waters – how will it feel to finally step off the side and onto dry land? There was a moment, albeit brief, shortly before Parker boarded the plane from Auckland to LA, when I envisaged myself and one of my best friends Kiran attempting the challenge. In reality, we battle to arrange a chat in a pub, so I imagine the sheer logistics of this whole affair would have had us stumped at the registration stage. But the thought crossed my mind. In that moment, after more than 12 months of listening and talking about a challenge I never imagined I would give a second thought to attempting myself, I not only grasped the adventure of it, I craved it. In this life, it’s no mean feat to find something that marks you out from the masses. Once territory solely reserved for accomplished athletes, endurance events like marathons, triathlons and iron mans are now open season. Kilimanjaro is practically a rite of passage. Even conquering Everest is unlikely to rouse the same reaction it might have done fifteen years ago. We talk the same, dress the same, eat the same, train the same, we hashtag, we share, we like, we comment – more than ever before it feels like everyone on the planet knows all the steps to the same massive dance routine. It’s refreshing to know that there are still people out there – like every entrant in the first ever Great Pacific Race – prepared to bust out some new moves. This entry was posted in Uncategorized on June 10, 2014 by Millie Roberts.